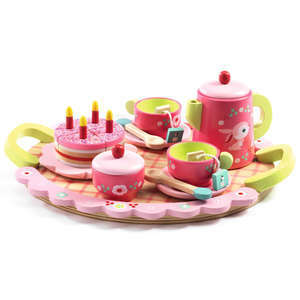 This pretty teatime set from Haba adds the finishing touch to a pretend tea party. 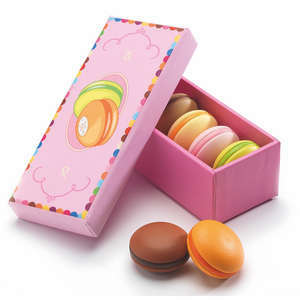 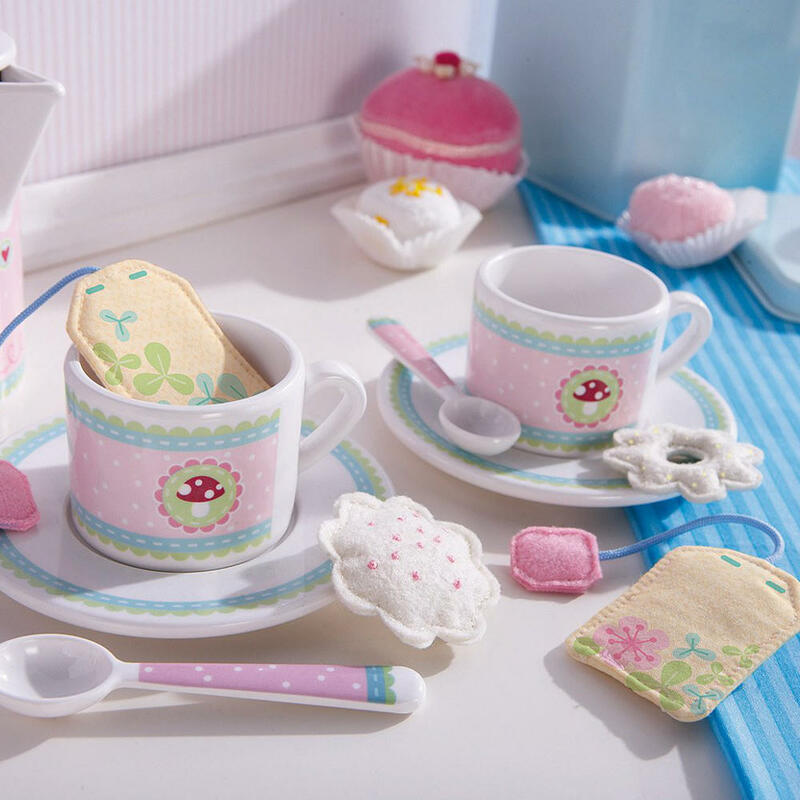 Kids will love the pink lucky mushroom design and cute fabric tea bags and cookies. 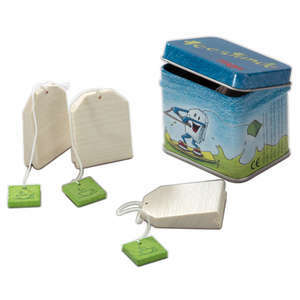 Parents will be pleased to know that the tea set is made from melamine so when the tea party is over the cups, saucers and spoons can all go in the dish washer. 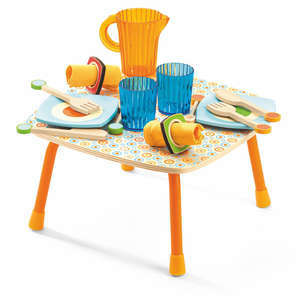 Children love to bring out their very own teatime set at family occasions, as it makes them feel grown up. 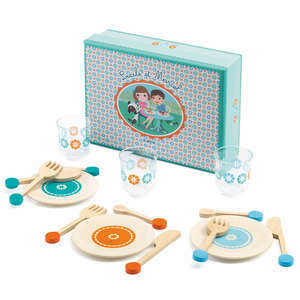 This adorable set makes a lovely gift and is perfect for families with 2 children as they can each have their own tea set. 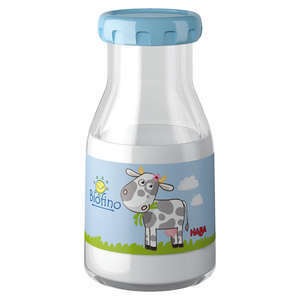 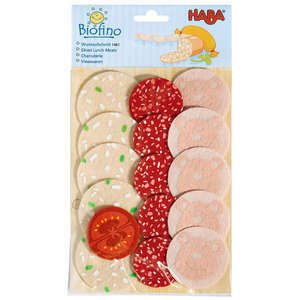 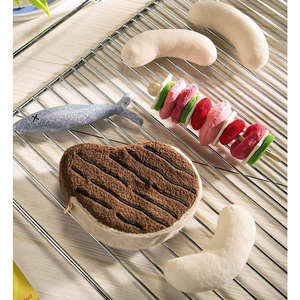 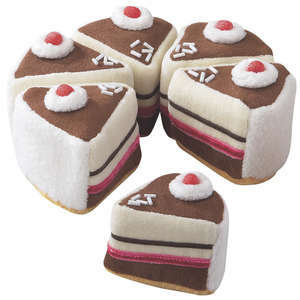 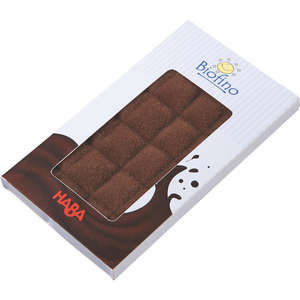 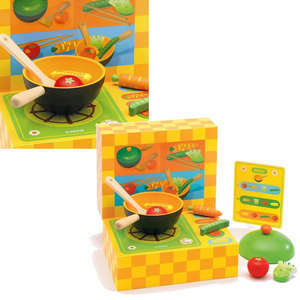 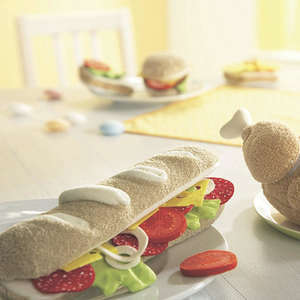 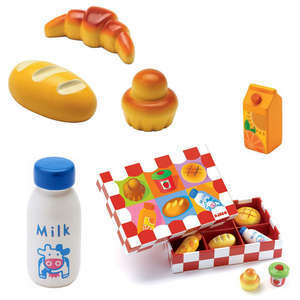 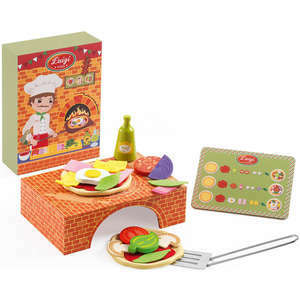 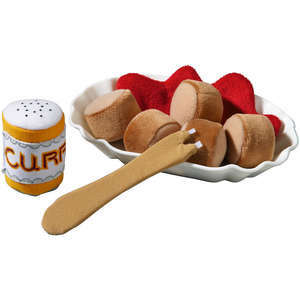 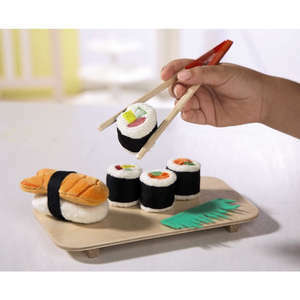 Combine with other play food items from Haba's complete range for the perfect pretend tea party. 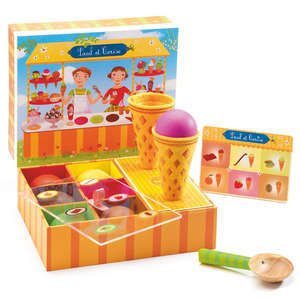 Includes 2 cups, 2 saucers, 2 spoons, 2 fabric cookies and 2 fabric tea bags. 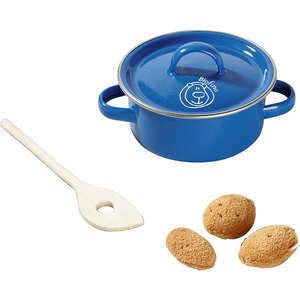 Dish washer safe. 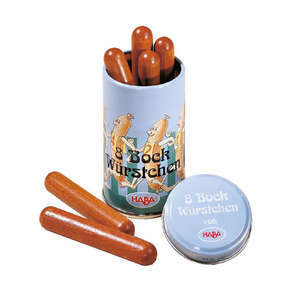 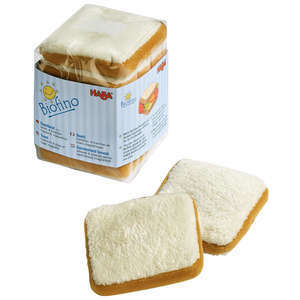 Not recommended for use in microwave.